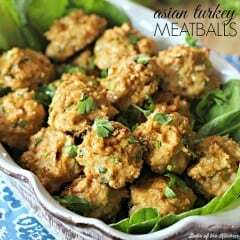 These Asian Turkey Meatballs are flavorful, easy, and make a perfect lightened up dinner option. You can also enjoy them as appetizers! Hi everyone and Happy New Year! It’s Ashlyn here from Belle of the Kitchen, ready to share a new and healthy recipe as part of this month’s Ideas for the Kitchen exchange. If you’re looking to make a more healthful start to the New Year, Carrie and I have you covered with two new recipes using turkey as a lighter meat option. I’m a big believer that healthy and delicious can go hand-in-hand, and that’s exactly what you’ll find with these Asian Turkey Meatballs! If you’re looking for Carrie, you can find her over on my blog today where she’s sharing her recipe for Easy Turkey Sausage Quinoa. Since it’s a new year, many of us are ready to start it off right by making more healthful choices. I know I enjoyed a few more cookies and treats than I probably should have over the holidays, but that’s what New Year’s resolutions are for, right? 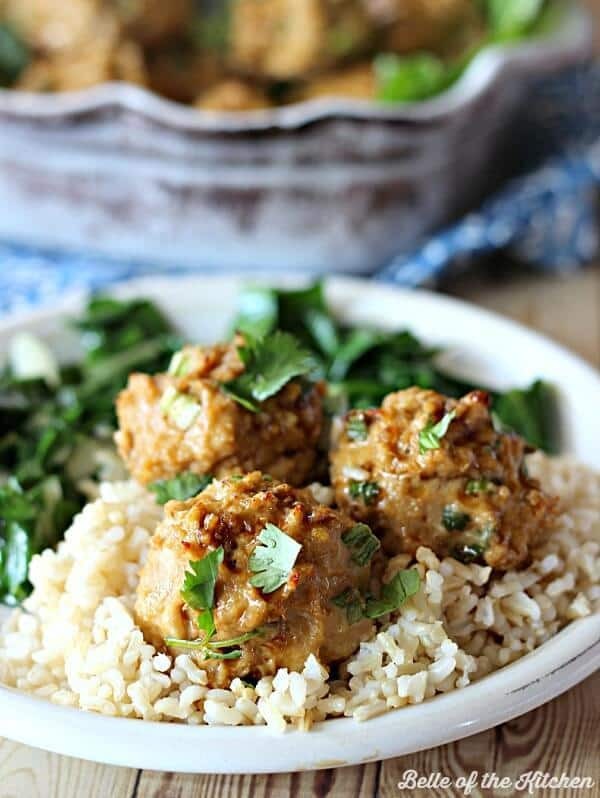 😉 Thankfully, cooking healthy foods doesn’t have to be difficult, and with recipes like these Asian Turkey Meatballs, eating right can be pretty delicious, too. 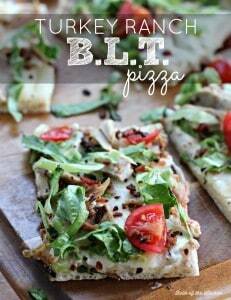 I love using ground turkey breast in recipes, especially when I’m looking to save a few calories. It is important to note that the type of ground turkey that you purchase really affects how much fat or calories you will save over ground beef. If your goal is to achieve a lighter meal, try to find ground turkey breast and not just ground turkey. Ground turkey is made up of both light and dark meat and therefore has a bit more fat and calories than its breast meat counterpart. Ground turkey breast is a very lean meat, but these meatballs have a little milk, egg, soy sauce, and sesame oil to help keep them moist. They may actually feel a bit sticky as you’re forming them into balls, but just keep working with them and they will bake up just fine. There is also a yummy lime sauce to drizzle over them at the end that just adds to their moistness and flavor! I like to serve these Asian Turkey Meatballs over brown rice with some steamed veggies; especially some sautéed bok choy. Bok Choy (or Chinese cabbage) pairs perfectly with these meatballs and is full of good for you vitamins like A, C, K, potassium, folate, and more. 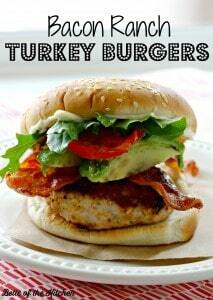 Do you enjoy using ground turkey in recipes? What kind of tasty meals do you like to cook up with this lighter protein? We would love to hear your recipe ideas, so please share them with Carrie and me below! In a large bowl, combine all meatball ingredients and mix well. Form into 20 meatballs (about a 1/4 cup each) and place in the bottom of a greased 9x13 pan. Bake in preheated oven for 15 minutes or until cooked through. Meanwhile, prepare sauce by combining all ingredients in a small bowl. When the meatballs have finished cooking, transfer to a serving dish and drizzle with some of the prepared sauce. 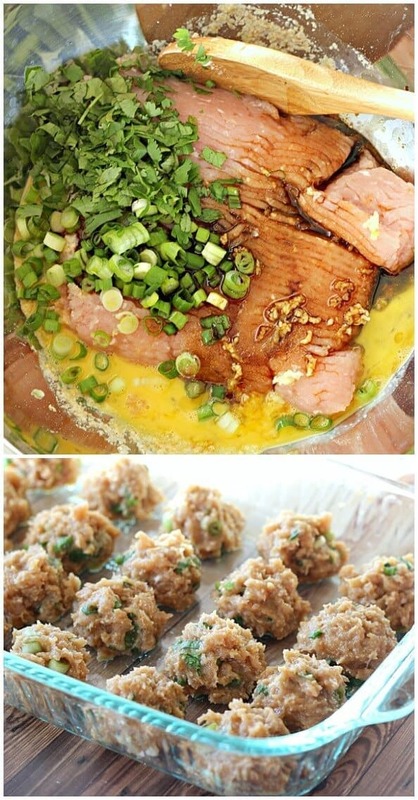 Serve meatballs over rice with with remaining sauce, if desired. Enjoy! Oooh, these look SO yummy! 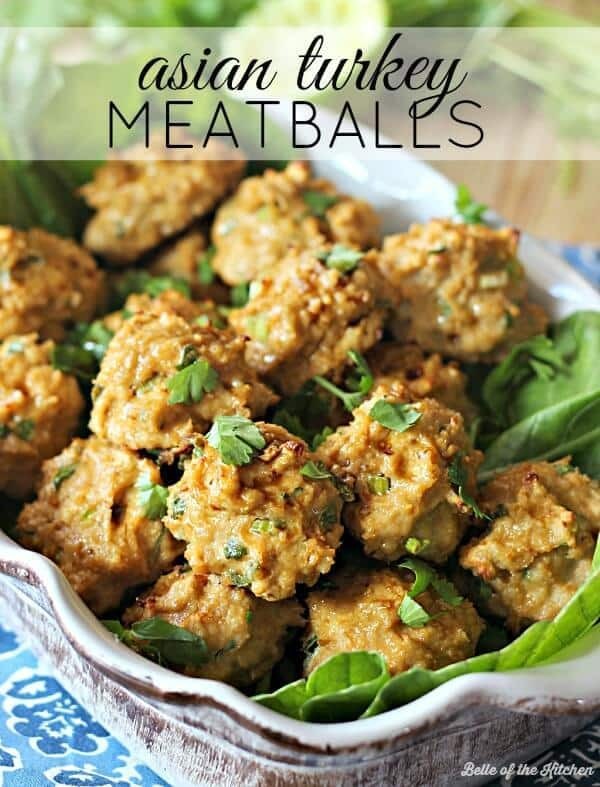 I like turkey meatballs more than regular meatballs so I will def add these to my recipe list! I just love Ashlyn’s twist on traditional meatballs. 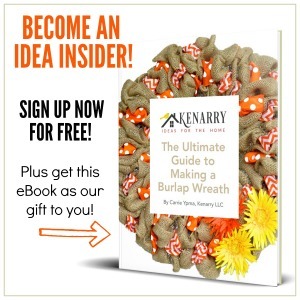 Let me know if you try them!